Workflow Sample: When a Baby is Born, What Procedures will be Required? When a Baby is Born, What Procedures will be Required? A staff greets to new member of her/his family. Yes, how happy it is to welcome new life. On the other hand, various procedures to the company and government offices is also waiting for her/him. For the staff her/himself, those procedures are rather "anxious" than "troublesome" because it happens not so often in her/his life. The company could support those anxious and troublesome procedures that come along with the 'happy occasion'. In the cases of Japan, staff must make 'child born report', because the social insurance related procedures are carried out through a company. Why don't you starting "total procedure support, including procedure in government offices", using the report as trigger? Basically, all what the company have to do is submit 'Dependents health insurance registration (changes)' to Social insurance office etc., and handing over to the staff the "Health Insurance Card" which would come sent later. In other words, it will be alright if in anyhow the Task of [3. 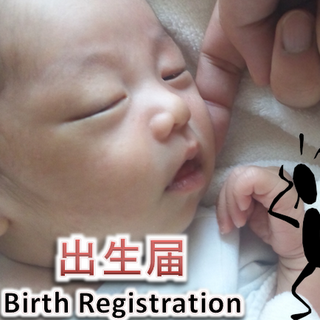 Submit Dependents health insurance registration (changes) to the Social insurance office] is processed. But in this Workflow definition here, generates automatically Tasks of [3x. Think up and Send Congratulation Gift (5000jpy. budget)] and [3y. Send Email of the Public office procedure information]. These three Tasks can be all accepted and done by someone in General Affairs Department, or it also may good split to do by staffs of the Department. In addition, as notable point of this workflow, the task of [0. Prompt the application of birth] Is defined. That is, staff of General Affairs Department who knew one of the employee had her/his baby born would prompt her/him to enter [1. Application of childbirth]. if described 'simple manual' or 'URL which tips to such as social insurance office site' on processing screen. By the way, (although be slightly digression), about the [3y. Send Email of the Public office procedure information] Task, speaking in the case of Kyoto City of Japan concretely, we need the following four procedures in general terms. (a)Bring" birth certificate" to ward / municipal office and at the same time process "child benefit". (b)Mailing to Health Service Center a "birth contact slip "
(c)Tell the company about matters of described in the "Dependents health insurance registration (changes)", wait for a health insurance card to arrive. (d)Mail the "Application for medical expenses claimant certification for child issuance". To the company side, tell that 'procedure of (c) will be completed about a week and the health insurance card will be handed', and ensure 'if (a) and (b)have done thoroughly? ', and tell 'must do procedure of (d) later'.